"In dreaming nothing is real. 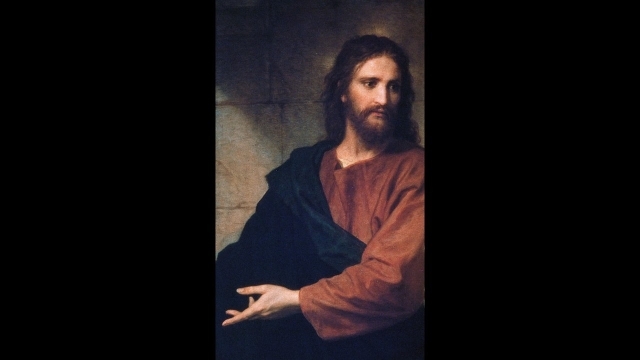 What we have accomplished is real," Jesus the scientist might answer. "What we have accomplished is revolutionary. The red-shift died along the way, and with it died the Big Bang. "It should be obvious to anyone in the science community that the red-shift that the Big Bang is built on isn't what it is deemed to be. It isn't the result of light being stretched out by a source that is speeding away from us, like sound waves are stretched out that way. 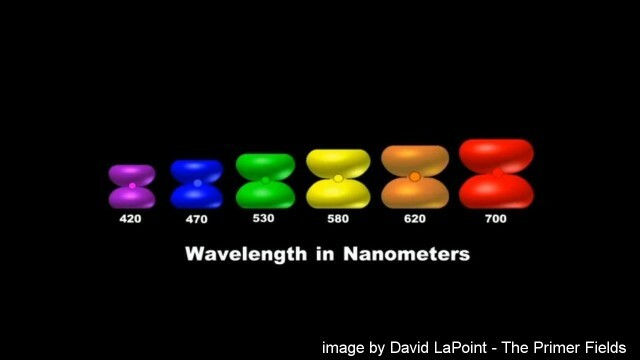 "Quantum physics tells us that light is not an open wave like a sound wave in the air. 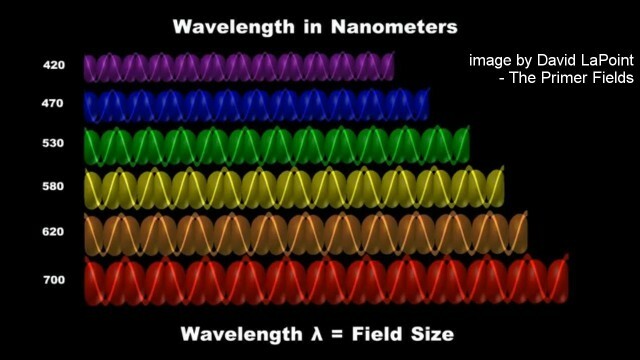 The photons of light are recognized as closed wave structures, similar to packages that come in different sizes, according to the different colors. 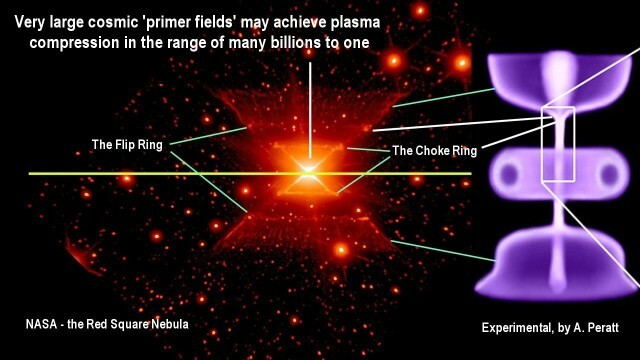 When light is propagated over millions of light years, a slight energy dissipation invariably occurs, by which the packages become larger in size, because, when less energy remains in the package to keep it together tightly, the package becomes larger. The result is that the violet package becomes a blue package, and the blue package becomes a green package, and the green a yellow one, and the yellow a brown, and the brown a red, and the red package become an infrared package that falls outside the visible spectrum. The whole spectrum thereby shifts to the right. 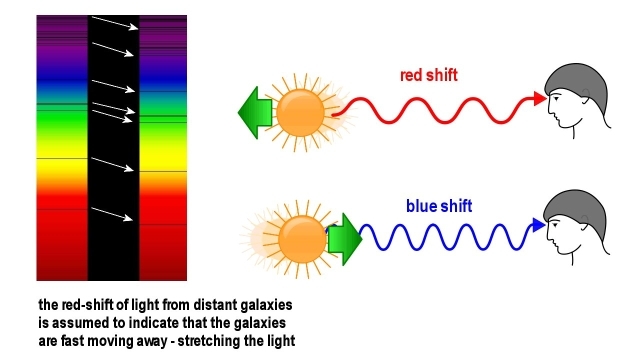 "This means that the red shift that astronomers have measured in light from distant galaxies, is merely a proxy for distance and for conditions in intergalactic space that cause energy dissipation. 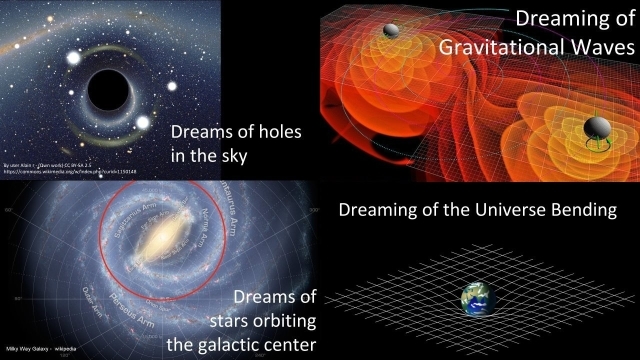 "At the moment when this is understood, the Big Bang theory looses its foundation and with it the dream vanishes. Till then, the Big Bang Dream rules the imagination with fantastic visions of the impossible, and also of the extremely unlikely, such as the Earth being the center of the universe, with the universe racing away from us into all directions. "The recessional red shift of 1 to 7% in increased wavelengths, that has been observed, would be equivalent to an recessional speed between 3,000 and over 20,000 km/sec. The orbital speed of the Earth, in comparison, is a mere 30 Km/sec. 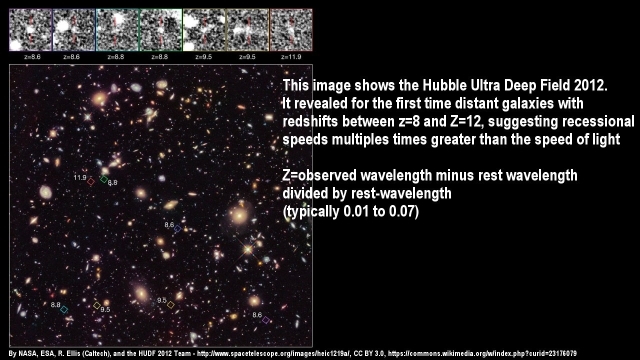 "And for light from extremely distant galaxies, as has been observed with the Hubble Deep Field telescope, the red shift is so great (in the order of 800 to 1200%), that the measured read shift translates itself into recessional speeds exceeding the speed of light multiple times. 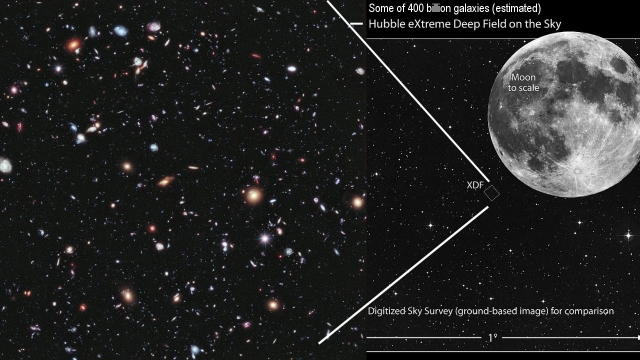 "The Hubble Extreme Deep Field telescope gives us the deepest look into the universe ever achieved. What it revealed, essentially disproves the Big Bang theory that is stepping us from the improbable to the impossible to the mind-boggling. The universe isn't mind boggling. the mind-boggling theories are typically result of cultural warfare against science, that science itself is on the path of freeing itself from. "A human being can get out of the cultural warfare traps by simply recognizing the traps for what they are, and by recognizing what is actually real. This is what advanced science achieves by revealing the impossible aspects of the paradoxes of the various traps. 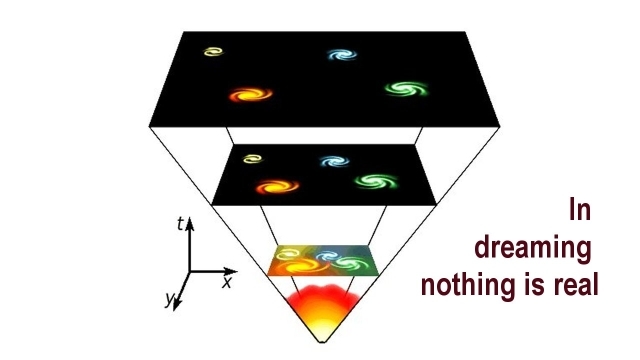 "But can you be sure that the Big Bang is a trap?" Mary might ask the master scientist. "Isn't it remotely possible that the red-shift of light really is the result of the source of the light racing away from us, which thereby stretches out the waves of light? NASA recently conducted an experiment by looking at the Sun that seems to prove on our own home-ground the theory of stretched-out light. 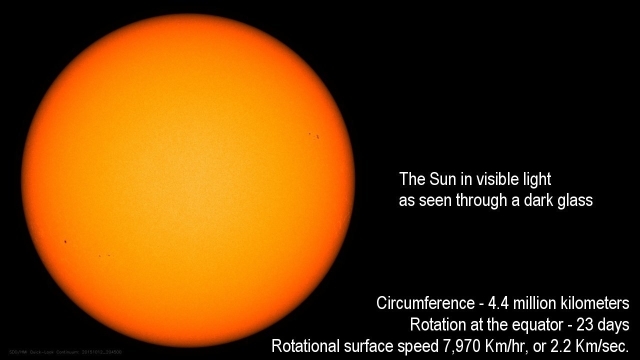 "The Sun has a circumference of 4.4 million kilometers. It takes 23 days to complete a full rotation at its equator. This gives us a surface speed of 7,970 Km/hr, or 2.2 Km/sec.. That's the speed with which the light source on the Sun rotates towards us on one site, and away from us on the other, for a combined difference of 4.4 km/sec. "NASA assumes that the difference in rotational movement should reflect itself as a red-shift difference in the light coming from the two opposite sides of the Sun, observed for the spectral line for iron. "We are told that when exact measurements were made by NASA, there was indeed a minuscule Doppler shift detected between the two sides of the Sun. 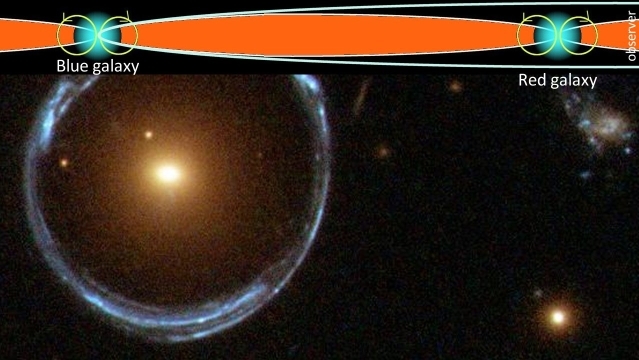 "Doesn't this prove that light gets stretched out from a light source that is moving away from us, for a red-shift, and is compressed when the source moves towards us, for a blue shift? "Doesn't the experiment thereby prove the Big Bang theory?" "No it doesn't prove the theory, Mary. It disproves it. 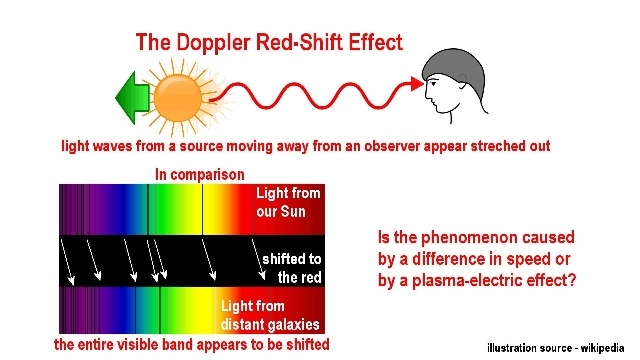 NASA's work actually proves that the observed Doppler-shift is caused by energy depletion. "The Sun is surrounded by a halo of densely concentrated plasma that rotates with the Sun. This means that the light from one side of the Sun, as seen from the Earth, flows in the same direction as the plasma is moving, and on the other side the light flows against the movement of the plasma. The interaction of the light with moving plasma should reflect itself in a difference in energy dissipation within the photons, and should therefore cause a difference in red-shift. Everyone who ever wrote a bicycle knows that it takes far-less effort to ride the bike with the wind, than it takes to drive it against the wind. The same applies to light. 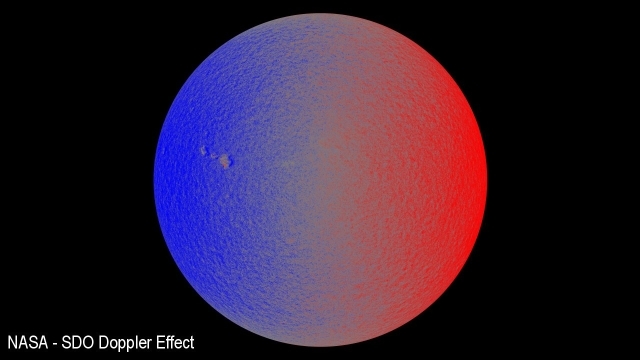 "This is the difference that NASA has measured as red-shift in the light coming from the two opposite sides of the Sun. "It is doubtful that the rotational speed differential of 4.4 Km/sec is physically measurable as red-shift in fractions of the speed of light, which adds up to a one-and-a-half thousands of a percent difference. "While red shifts from 1% to 7% are typically measured values. To physically measure a one-and-a-half thousands of a percent difference in patterns of light, would be a miracle if it was practically possible. "Obviously, what NASA had measured had a different cause. 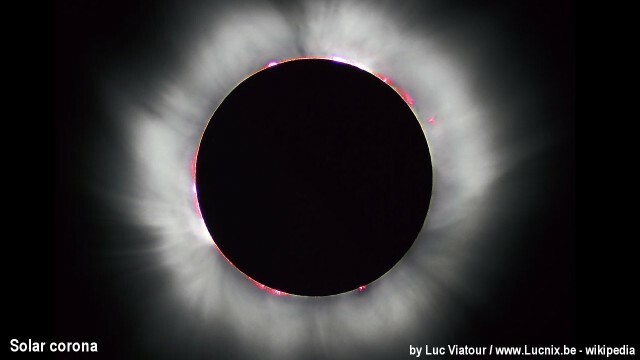 NASA would have measured the difference in light-energy loss, between the light flowing with or against the movement of the dense plasma that surrounds the Sun. The resulting energy-loss difference, when it is expressed in the size of photon packages would likely be substantial enough to be actually measurable. "The result thereby disproves the Big Bang theory, instead of proving it." "Does the comparison really prove that when light flows in discrete quantum packets the Big Bang theory is a dream?" "It proves it, but it doesn't prove anything significant, Mary. It only tells us that one of the theories of the universe is true rather than the other. "However, the recognition of the truth creates peace in the mind, as it doesn't play with physical impossibilities and magical fudge factors. That's what's important about it. A sense of peace results when the incomprehensible is now no longer required to be comprehended. 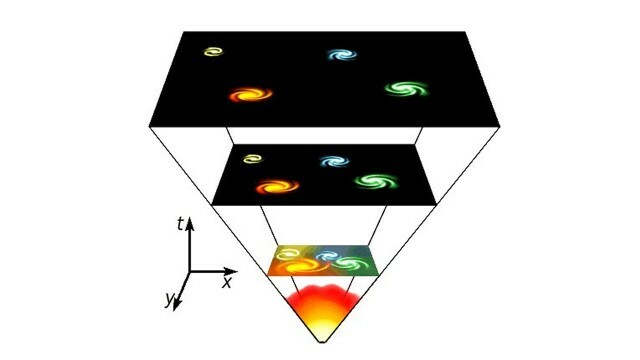 "One is no longer required to accept that our universe of 400 billion galaxies, each with hundreds of billions of solar systems in then, and planets and all, have originated in a single-point explosion and is now expanding faster than the speed of light, which the Big Bang theory bids us to believe. 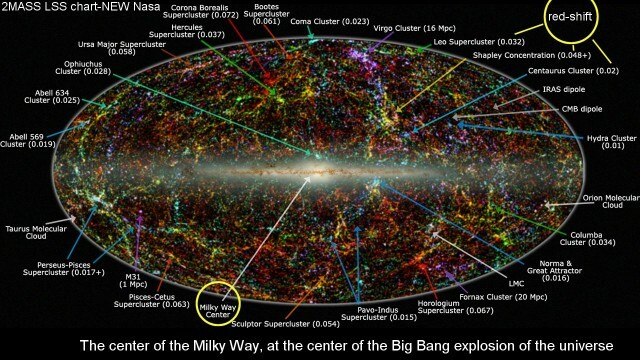 "Big Bang takes us far beyond, even science fiction. "However, apart from the lack of peace that is experienced in erroneous theories, it makes not the slightest practical difference to human living when false theories are believed. That's so, because our world is not physically touched by what is not physically possible. This is an important principle for us to recognize. This principle was known already in distant history. "In the historic Moses legend a scene of conflict is set up to illustrate to Pharaoh that God, or reality, is supreme. 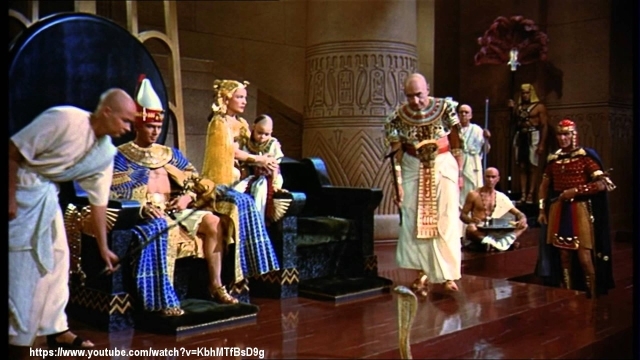 Moses commands his assistant Aaron to cast his staff onto the ground before Pharaoh. As he does so, the staff becomes a serpent. Pharaoh, apparently unimpressed, commands his magicians to do so likewise. As they did so, each one's staff became a serpent too. As the story is told, Moses' serpent ate up all the other serpents. That's the fate of the imagery of error. Truth simply eats them all up. "Truth, evidently has this type of effect on illusions. An error has no history, because it never was true. Just let it go, Mary. "The mechanistic theories of the universe fall by the wayside when it becomes recognized what is really going on. 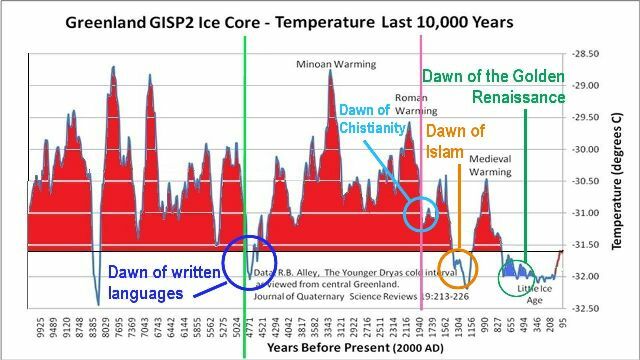 "In comparison with these trivial concerns that are inconsequential, we are immensely affected by our recognizing the solar dynamics correctly, and the Ice Age dynamics as demonstrable truth. And in this arena, nothing is esoteric. The Sun masters our climate. That's not esoteric. It is measurable. We have concrete measurements available for that in Carbon-14 ratios, Berillium-10 ratios, in sunspot numbers. All these measurements tell the same story, and this story points to immense and immediate consequences. 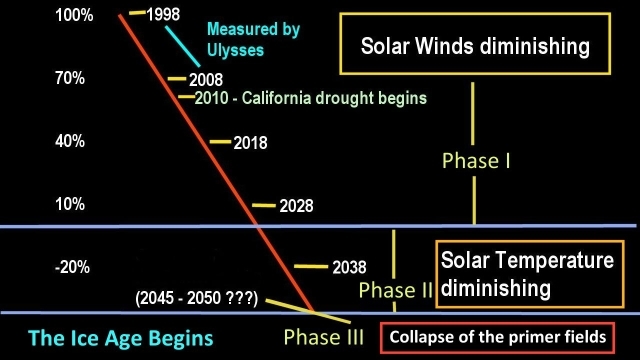 "In addition we have hard measurements on hand that tell us that the solar dynamics are rapidly diminishing, almost as fast as a falling stone. This is not theory. We have multiple measurements for that likewise. 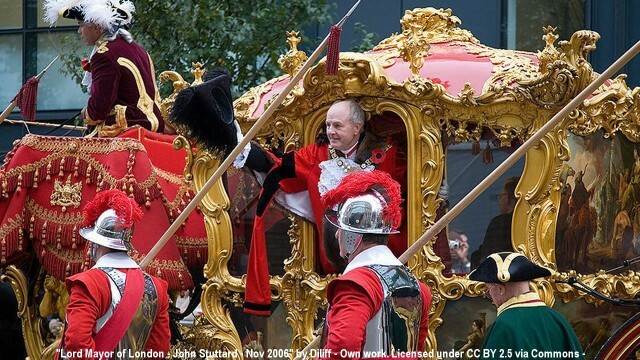 "And this is happening on our doorstep. Nor is this something that may happen in the distant future. It is happening now. The process is on. As I said before, we are already half-way through the 1st phase. "We have multiple types of measurements on record that all tell us, each in its own way, that we are beyond theory on this front. We are past predicting things far in the future. The future is now. The process is on. The Ice Age process has begun. 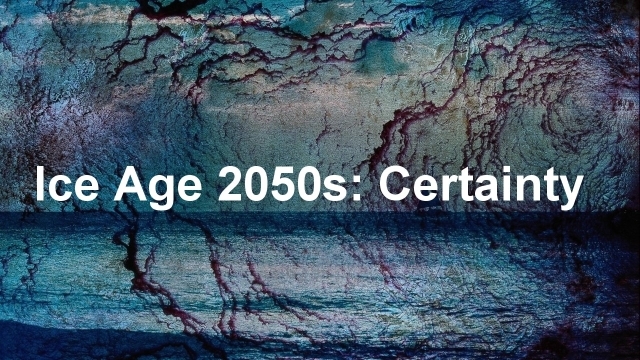 We can tell from the measurements of its progression that in roughly 30 years, the Earth will become an uninhabitable planet, except for a few small areas. 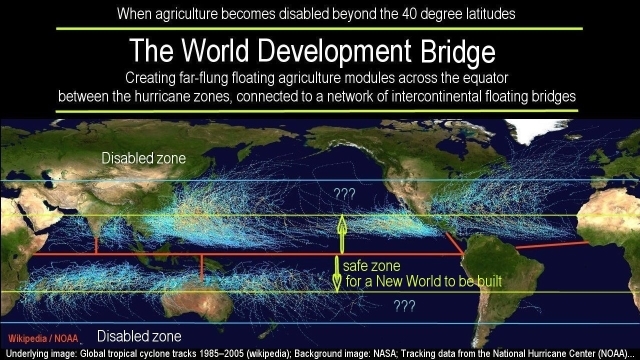 "We know from the measurements that we have made, that if we don't build us large-scale technological infrastructures that make it possible for us to live in an Ice Age environment, like building 6,000 new cities in the tropics, primarily along the equator, together with high-tech agriculture, the whole of humanity is committing suicide by this default, with a few minute exceptions. "In comparison with these immediate concerns with big consequences, all that esoteric stuff, from black holes to the exploding universe, is synonymous with straining out gnats while swallowing camels. "The vast field of science dreaming of the physically impossible, that has shifted the focus away from reality, has become a world-wide tragedy. The world has presently trapped itself with this, into the tragedy of being fascinated with what is not real and cannot be real, while it keeps its eyes closed to what IS real and stands on its doorstep, knocking. 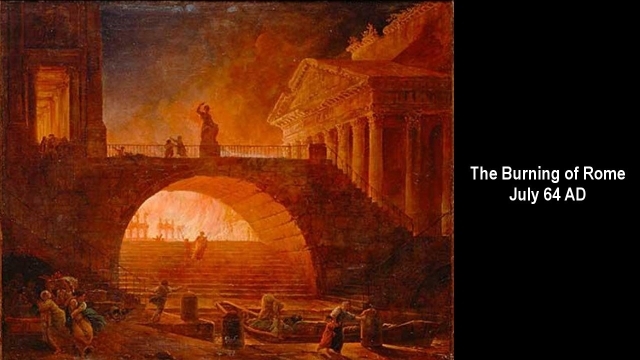 "'Rome' is burning. Humanity is engaged in playing mind-games while the house is burning down. That's where we are at. "The consequences of this tragedy are so unimaginably enormous. that I must repeat, that if the impasse is not resolved that keeps society trapped - that prevents society from creating itself the infrastructures for its future survival, which will be needed in 30 years when the next Ice Age phase shift happens - humanity dies a collective death. "Fortunately, this hard, cold, and heavy 'stone' that humanity has created, that guards its doom, is beginning to move. "The Big Bang and the neutron stars are fading into the dust bin like dying ghosts in fairy tales. Humanity's science is on the move, clearing the box of deceptions from the landscape, making room for light. If it wasn't for this light, the world would have no hope. Without this light the dreamers would commit humanity to its death. This light is real. 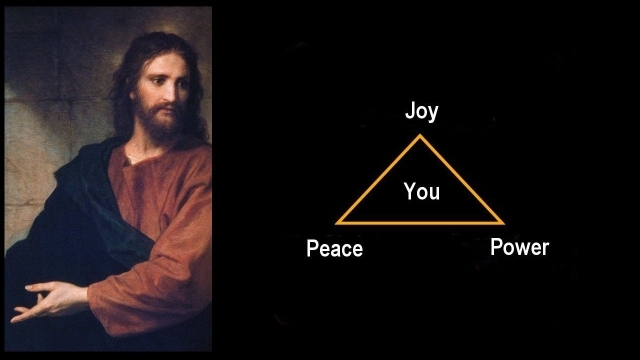 We are no longer dead at the leading edge, but are moving forward with joy and power, and we will have our peace." "Do you really believe what you are saying?" Mary might interrupt. "Where is the evidence for it? If you would stand on the street corner and say what you just said, nobody would believe you. If you would solicit donations for your cause, you wouldn't collect a penny. If you would speak of the urgency, people would laugh at you and ask what you were smoking. If you would say that their very existence is at stake, so that actions are required, people would give you the finger and say that God won't let this happen. God will take care of everything." "God has already done his part, Mary. As a Son of God you are qualified to meet your need. Humanity is extremely qualified with its scientific mind. We understand the principles, the physics, the challenges, and the solutions. What more would we need? We have the technologies already developed to implement the solutions. What more would we want? We have all the resources that are required, already in the pocket. "We have the materials and the energy resources sitting idly on the ground, unused, in near infinite abundance. And we have the technologies to use them in the pocket. "Could we ask for more? "We have plenty of lead time to get the job done. No miracle is required for us to come in on time, and on budget. The budged includes creating a renaissance along the way, ending poverty, hunger, war, terror, looting, exploitation, even dreaming. "And it includes creating an efficient new economic system; potentially without money, since money has been historically a millstone that choked economics. A moneyless society has the potential to be the richest that ever lived. "Why would anyone want to live in a debt-choked gilded world, instead of in a world of abundance? "The Ice Age infrastructures cannot be build on a money-debt basis anyway. There isn't enough money in the world, and not enough time to get anything done on the platform of greed-based impotence. Consequently we step away from it. We step into the future. That's the face of sanity in the world, the reflected face of God. "What we have got in the pocket is better than miracles in the sky. We are the miracle makers, Mary. What more could we be? 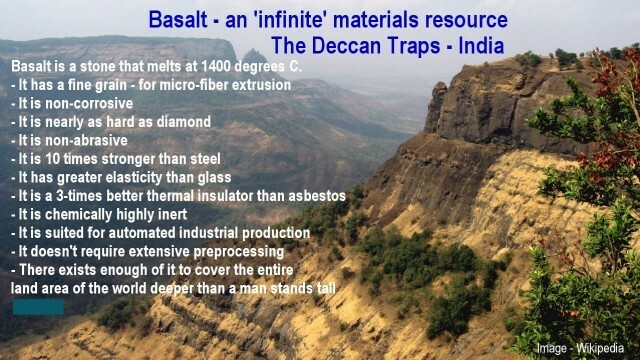 In fact, we've got far more than just the materials, energy resources, and technologies that we need to create the needed Ice Age infrastructures with. We also have a new mind developing that matches the requirements. "All the great cultural achievements were wrought during the cold climates in history. 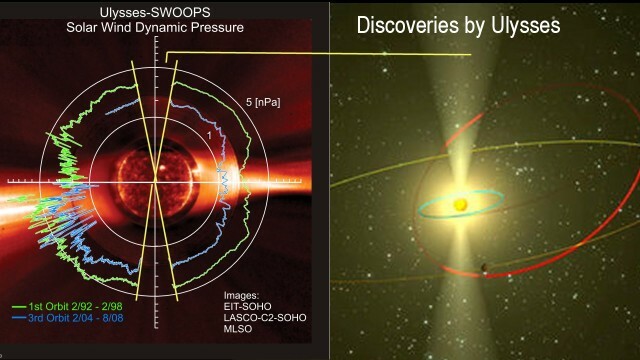 These are times when larger volumes of cosmic rays were emitted from the Sun. The dawn of written languages occurred in one of these cosmic-ray rich times, as did the dawn of Christianity, the Islamic Renaissance, and the Golden Renaissance, and so on. With the Sun fast diminishing, we are rapidly drifting back into the cosmic-ray rich times where we find us with enhanced spiritual and metal capacities, the likes of which we haven't seen for a long time, if ever. "The human body is typically subjected to 50,000 cosmic-ray encounters per day. While the cosmic-ray particles are so small that they flow right through us, without colliding with anything, they do nevertheless cause an electric current to flow by electromagnetic induction. The electric currents, minute as they are, appear to enhance the human neurological system that operates electrically. 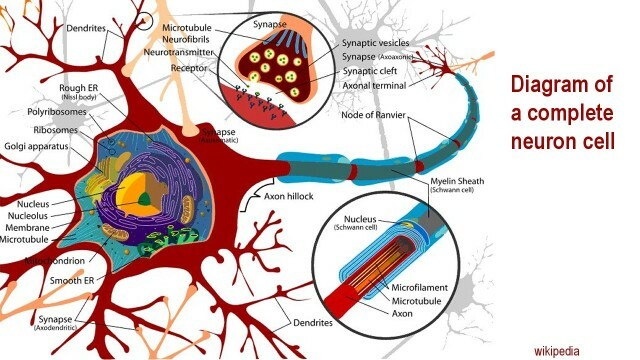 "The historic pattern suggest that the induced electric currents nourish the neurological system. This means that we can expect a large increase of this nourishment coming our way, which has already begun. 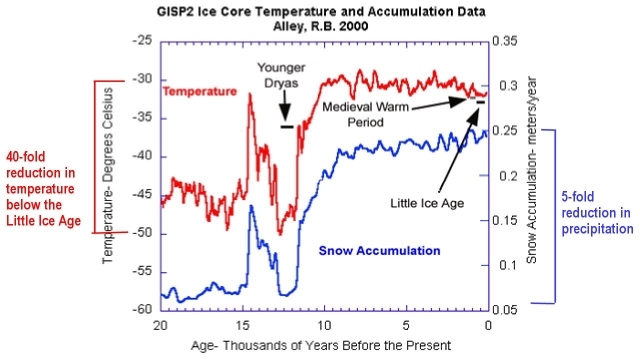 The Ice Age Challenge will likely be met with ease along this path. "Inversely, the periods of the hot climates, which are cosmic-ray lean times, have been periods of war and economic devastation. The same also holds true in the larger sweep of history, Mary. The great Giza pyramids stand as a testament for that." "Are we sure the Pyramids were build by humanity?" Mary might interject. "People suggest that they were built by space-faring visitors. "The complexity of their design, and precision of construction, is of a different class that stands way above what the Egyptians had been capable of. 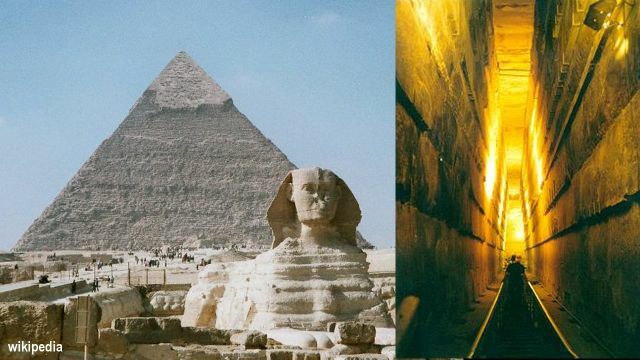 "The sides of the pyramids are more closely aligned to the Earth's meridian, than the prime meridian established in Greenwich in London in the mid-1800s.The Egyptians didn't even know at the time that the Earth is a sphere, when the pyramids were supposedly built. Much less did they know that the Earth is rotating on a spin axis. How then would they be able to align a mega-monument of the size of the pyramids to the invisible meridian with a 3-minute of an arc accuracy that probably remains unsurpassed to the present day? "The Egyptians couldn't have built these monuments. "In addition to that, human beings are far to feeble to have constructed these giant monuments, cutting 20 ton granite blocks with racer-sharp precision, and hoist them up a 58 degrees slope, several hundred feet high, without electric cranes and transport machinery. Yet, the pyramids do exist. 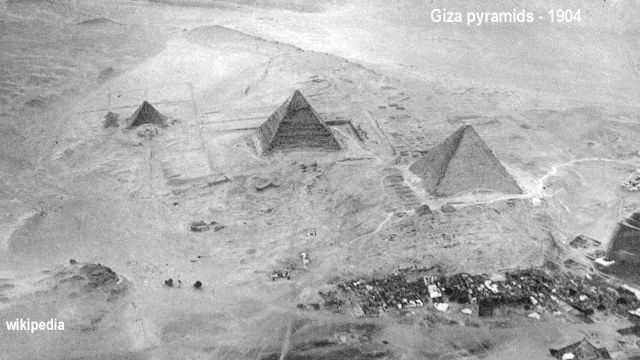 "Many people now say the only extra-terrestrials could have accomplished the a amazing feat of building the gigantic wonders at Giza. I tend to agree." "Are you saying that you have joined the club of those who don't believe in physics anymore," the master of science might answer. "Give me a team of 200 men and I'll hoist a 20 ton block onto the top of the great pyramid without any problem. Even you can do it. Set up a pulley on top; swing a rope over it; place the stone on a sled; tie the rope to it; place your team on top of the pyramid with hooks into the rope; tell them to lean their body weight into the rope. Their combined weight will out-weigh the stone. They will simply walk the stone up as they walk down. "And why wouldn't they have known that the Earth is a sphere and how the meridian is oriented? That's not a big feat for a human being, especially in the cosmic-ray rich time of the Ice Age environment. With less moisture in the air, the sky was clearer. The people would have been expert astronomers and scientists in spherical geometry. And so, as for the meridian, the orientation would have been pointed out to them by plasma-flow dynamics. "Parts of the solar Primer Fields structure that feeds plasma onto the Sun would likely have been visible during the time when the Sun was ramped up in a big way at the start of the interglacial period. "It would appear above and below the Sun, and be aligned perfectly perpendicular to the ecliptic. "When it was seen that way from Earth, the orientation of the meridian would have been indicated all the way to touching the horizon. From this reference point it would have been easy to draw a line accurately across the land. 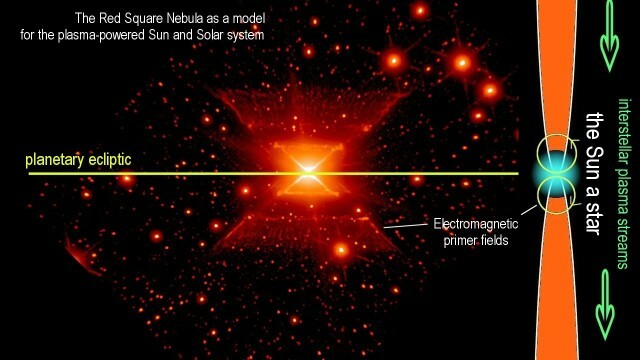 "This means that the pyramids of Giza are likely another proof that the Sun is a plasma star. 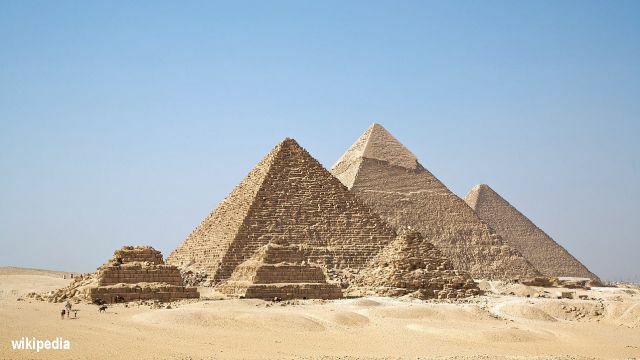 This also means that they couldn't have been built at time of the pharaohs, but were built at the start of the interglacial period, roughly 12,500 years ago. 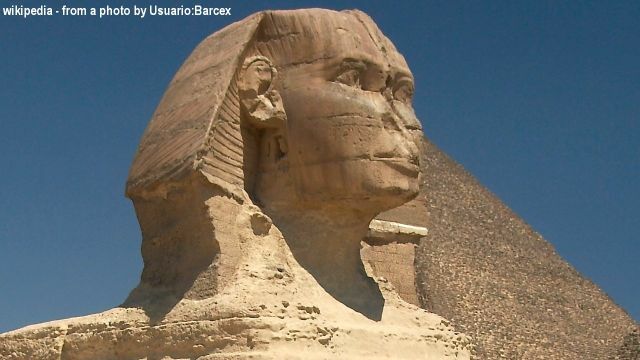 "The orientation of the Sphinx confirms this. It is oriented precisely in the direction where the constellation Leo, its image, would have appeared 12,500 years ago at the dawn of the spring equinox. 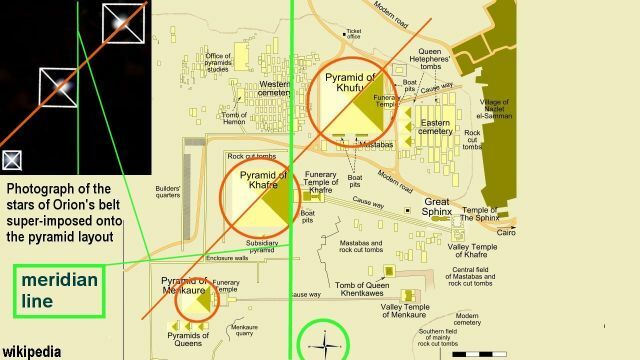 "The pyramids themselves appear to have been built slightly later, at around 12,000 years ago when the relative positions of the stars of Orion would have matched precisely the relative positions of the pyramids. This date would also match the start-up of the interglacial period with strong plasma focus events. "Also the building of the pyramids might have been easy at this time. The Earth had been bombarded with much larger volumes of high-energy cosmic-ray flux, possibly hundreds of times larger than today. With this massive energetic bombardment of protons going on for tens of thousands of years, the surface rocks would likely have been saturated with protons, so that their repelling force within the crystalline structures of the rocks would have rendered the rocks significantly softer, easy to cut and carve, and easier to transport, aided by the repelling force. No big machinery would have been required to manufacture the stone blocks and build the pyramids. 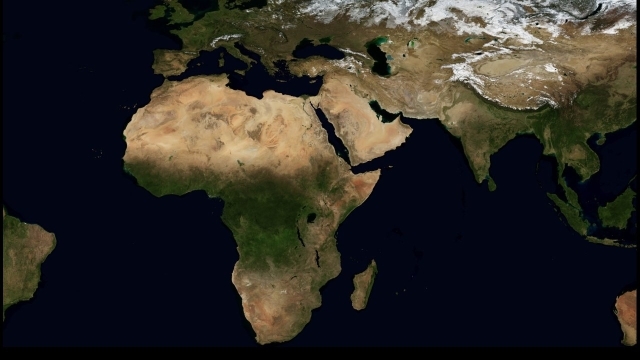 "The civilization of the builders appears to have vanished more than 8000 years ago when the Sahara became overlaid with sand from swarms of asteroid intrusions into the atmosphere, potentially. The Sahara used to be lush and green prior to the sand. "The remnant of the builders' may have migrated to the Indus Valley and established a new civilization there, the earliest with a written language and irrigated agriculture. "The reason why the pyramids could not have been built by the Pharaohs 4,500 years ago, is that humanity had been cognitively regressing during the cosmic-ray lean interglacial period. Also, if the Pharaohs had built the pyramids, the walls would NOT have been left bare without a single inscription. 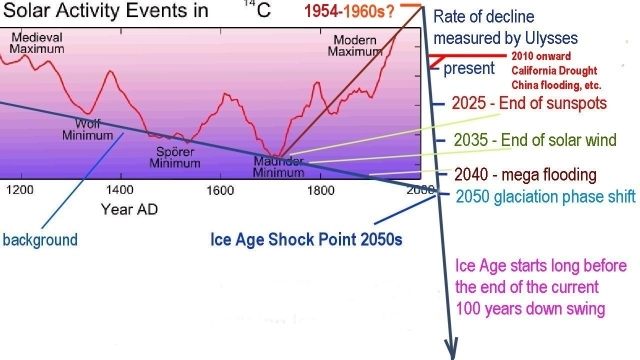 "Now that the solar system is in a free-fall weakening towards the cosmic-ray rich times of the next Ice Age, we are seeing the fringe effects already happening. The wars are getting smaller and are fast drawing to a close, while technological progress is leaping forward evermore. 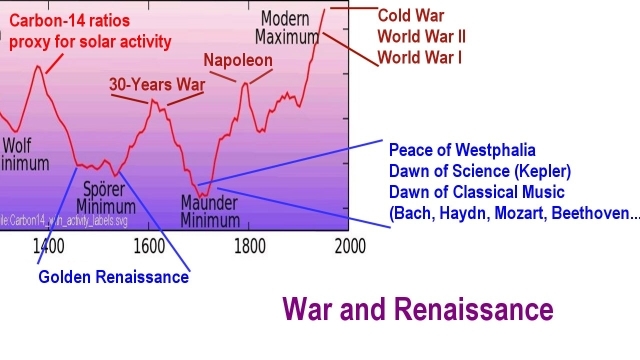 "This means that the age of empire is also drawing to a close. Empire and war is one. When empire ends, wars end. With the American 'empire' already fading, we have seen for the first time in a long time an America President paying a state visit to China, and joining hands with the President of China, and days later with the President of Russia. The insane isolation of humanity that marks our interglacial culture is beginning to fade and yield to cooperative development. If these are the present signs of progress, while we have still 30 years to go until the big phase shift happens into the really rich times, the amount of progress that lays before the whole of humanity is almost unimaginable. "Considering that we are only half-way through the first phase of the solar system's collapse to the next Ice Age, with so much room for further progress, both technologically, and physically, and scientifically, and socially, it seems we are still at the beginning stage on all fronts. 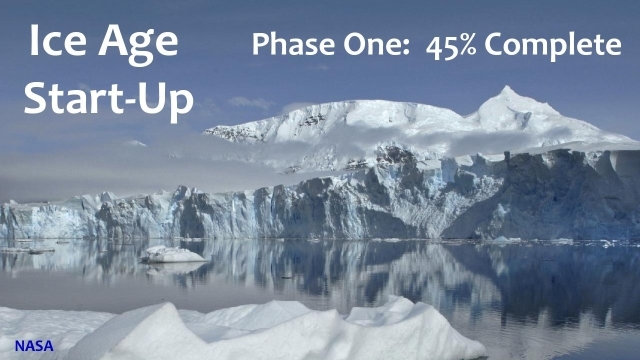 This means that the Ice Age Challenge will be met, and we will not miss a beat in making our world the richest place it has ever been, in the face of the challenge. It appears that the universe is aiding us on this path. How then could we fail. "Some day soon we may awake to what we are, and have, and are capable of creating. "We do have the power to awake to this advanced stage. We are the Sons of God, and God is not a dreamer. We cannot be, what God is not. We still have time to recognize this universally, and rouse us to embrace the greatest opportunity for a fuller humanity, and a rich world beyond dreams, that the Ice Age Challenge begs us to accept, which we are fully qualified for." 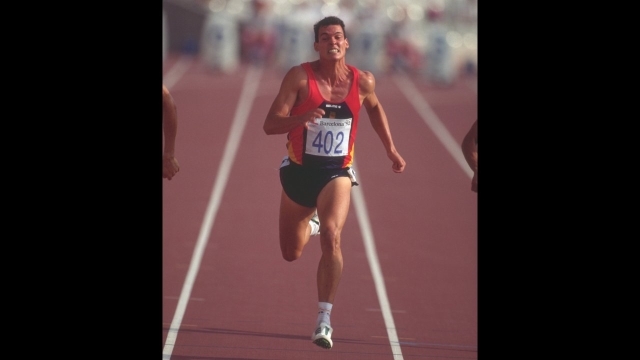 "This means that we are in a race, not against time or destiny, but with ourselves. "The race has just begun, in which we cannot fail, and for which we have the 'right stuff' already in our pocket. Would you expect anything less from the Sons of God? Mary."